Catching the rising tide in Bellingham, WA's real estate market | Leigh Freeman - Macdonald Realty Ltd. 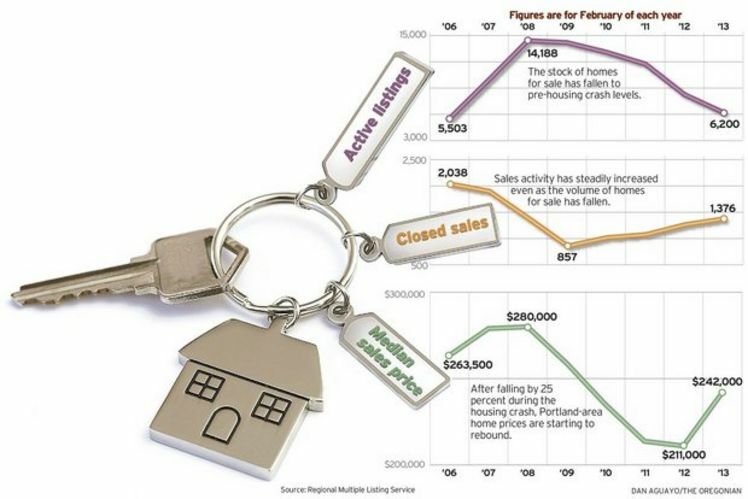 The Oregonian's March 31st graphic illustration of the Portland, Oregon real estate market above confers with what we see happening across the Pacific Northwest region. Rising prices and a reduced inventory of quality properties is just beginning in the Bellingham – Blaine area as savvy investors are targeting income properties, competing with first-time home buyers, baby boomers, and foreign investors. With the US real estate market on the rebound, online marketing, foreclosure purchasing, and the tightening of mortgage lending policies have resulted in a remarkably different real estate market compared to a few years ago. For a comprehensive look at these changes, read  Elliot Njus' blog entry "The new normal in real estate". If you've been thinking of making a property purchase when the market is on its way up, now is the time to make your move!Call or email me at [email protected] for honest advice and professional service on both sides of the border.